Upon adding Chasm to my Steam library, my initial thought was: “Goodness, it’s been a while since we’ve had a solid medieval platformer.” I was tempted to begin my review with only those words, before realising I’d be spouting nonsense if I had. Truth is, we’re positively reeling with medieval platformers; from the lovably oddball Shovel Knight, through Salt and Sanctuary to the embittering Souls tribute, Death’s Gambit. And I’ll tell you, not everyone appreciates the deluge. For this reason, it’s surprising that Bit Kid’s five-years-in-the-making Kickstarter project appeals as much as it does. Though showcasing a less defined (though certainly no less attractive) pixel style, Chasm also demonstrates that favoured blend of Metroid-style exploration and high fantasy setting. But what results isn’t only an intricate, often tense adventure platformer in spite of its unoriginality, but sound evidence that novelty doesn’t always breed quality. In Chasm, you play an enthusiastic young knight, freshly-trained serviceman to the revered Guildean Kingdom. After being sent by your commander to investigate a mysterious mine following strange rumours, you discover the neighbouring village is completely derelict, having been raided by hordes of bizarre monsters that have emerged from the mines’ depths. Eager to prove your knightly worth, you swear to solve the mystery behind the village’s kidnap and restore peace to the kingdom. Naturally, that’ll involve venturing deep into the mines, facing fearsome monsters and creepy catacombs, and harnessing specialised gear to rescue the kidnapped townsfolk. What ensues is essentially a treasure hunt, in which you infiltrate the mine’s subterranean complex in search of trapped villagers. There’s no hiding Bit Kid’s subscription to the continuing influx of nostalgic pixel platformers, but rest assured that Chasm gets the balance between old-school homage and modern ease absolutely right. It purposefully exchanges the definition of Shovel Knight and Axiom Verge for a more streamlined pixel art style, yet there’s an ever so slight stutter to the animation that demonstrates the attention to detail and mannerism with which Chasm’s world is constructed. Very similar goes for the gameplay itself. I’m sure the term ‘Metroidvania’ will become a favourite when discussing Chasm, but level design leans more on the Metroid part of the equation (though the Gothic crypt design draws unmistakeably from Super Castlevania IV). Like in Metroid, you explore a single subterranean chasm (y’see) home to a network of alcove-ridden tunnels, with two attack options (a melee and a spell) with which to equip a reasonable variety of accumulated weaponry. Similarly again, Chasm retains a degree of structure by requiring special items to access further portions of the map, which goes a long way to ensuring you’re not meandering desperately around too much in search of a lever you haven’t activated. The controls are a touch disorientating at first (exchanging standard WASD for the side-by-side layout of the Z, X and C keys and directional buttons), but controls are always kept within view (both via in-game prompts and in the pause menu). There’s a serviceable controller feature nonetheless, as well as the option to re-map your keys. Movements themselves carry all the punch and purpose of modern technical design; jumps are subtly blurred, and sword-swinging creates a jagged light streak in the air to give cutting down enemies a stylish, superhuman quality. Through its swift, impulsive controls and low starting difficulty, Chasm greets its player with an empowering energy, leaving time to really revel in the storied vigour of the knight before gradually toughening the path. But as becomes plain, gradual doesn’t necessarily mean comfortable. Save rooms lay sparse between gauntlets of fantastical enemies, who (more often than not) deal a hefty blow to your protagonist’s modest health bar. The apprehension is very almost skewed by their lovingly classic design (they’re a compendium of D&D greats, from persnickety archers to insect-spewing death plants), but as you’ll frequently need to conquer an entire level before getting the opportunity to save, each hit registers with an anxiety comparable to the earlier Wonder Boy: The Dragon’s Trap. Sure, you’ll get to equip hardier weapons and armour as you progress, but only in the face of hardier, scarier enemies. Boss battles are almost relieving for this reason (an emphatic departure from Wonder Boy’s gruelling last frontier), engaging the player in methodical one-to-one encounters with the mine’s monstrous heavyweights. Though sub-bosses are somewhat forgettable in comparison to the more inventive main battles, all are personable, with distinct behavioural patterns that add grace to each beastly encounter. Perhaps due to the emphasis on navigation, Chasm manages to make its procedurally-generated world feel purposeful as opposed to tacked on. Like Songbringer, each new game spawns a unique code known as a ‘seed’, which influences the way the mines are constructed between players. This provides maps an extra layer of endurance by ensuring no two players experience the same path; an ingenious move to retain the anticipation of what lurks in the next screen, especially given the likelihood of there being a full playthrough online within hours of the game’s release. 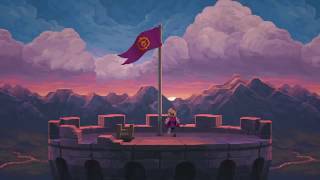 As the disenfranchisement surrounding the nostalgic platformer seems to grow ever more vocal as the genre’s catalogue extends, that Chasm succeeds regardless is encouraging; even surprising, given there’s almost nothing new about it. Indeed, it’s essentially Metroid-meets-Dungeons and Dragons, but as the wild success of Hollow Knight, Axiom Verge and Dead Cells (honestly, I could go on) have shown, novelty need not necessarily define the quality of the final product. I’ll gladly add Chasm to that list. Chasm exhibits a nostalgia for Castlevania and classic D&D fare, comprising an endlessly personable bestiary amid a pleasing world of high fantasy. Chasm’s procedurally-generated world offers satisfying intricacy while keeping the Metroid format thrilling, as it ensures no two players explore its subterranean network in the same order. Adapting the exploratory, object-focused format of Metroid within a classic D&D setting, Chasm is a high tale of knightly bravery that’ll likely appeal to both fans of the fantasy sidescroller fans and item-oriented exploration. No bugs arose throughout Chasm’s ten-hour campaign, though is partial to the odd slowdown when passing between screens. With an unrelenting sense of character, Chasm successfully works the Metroid formula into a procedurally-generated fantasy platformer, producing an intricate, challenging and enduring treasure hunt that more than justifies its five-year development.